This is what perfect toffee looks like. 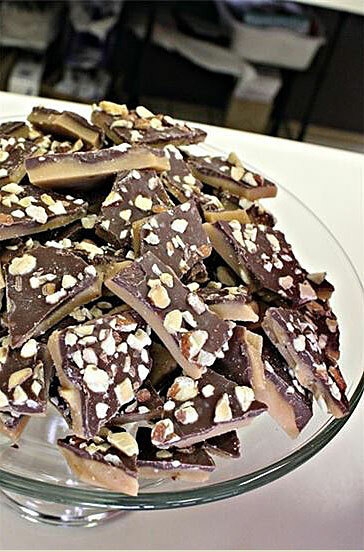 Toffee…the word alone conjures up the scents and tastes of the winter holidays. 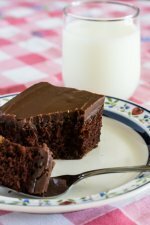 The buttery, chocolaty goodness satisfies even the most persnickety sweet tooth while the appearance satisfies those who want “pretty” on their candy plates. However, many toffees tend to stick to one’s teeth, or are too thick and hard, or are too sweet. So Christmas tends to be when toffee makes its grandest appearance. 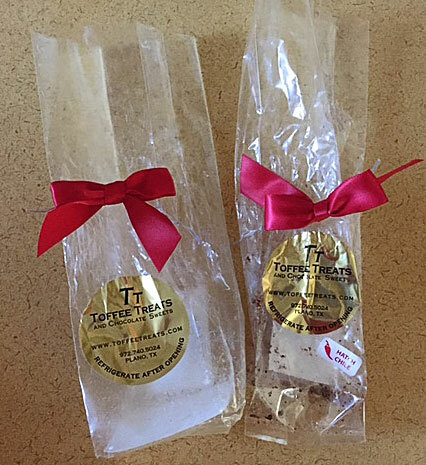 But then there are Toffee Treats, which take toffee to a whole different level. This is the first toffee I’ve ever had that snapped when bitten into with absolutely no resistance. 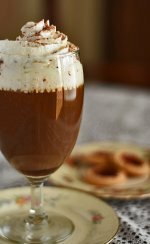 The buttery flavor burst onto the tongue while the warm sweetness of chocolate scampered right behind. The delicious bites dissolved at a proper pace - not too slowly, not too quickly, but just right, and were finished off with the slight crunch of nuts. Blissful, buttery, chocolaty delight. I don’t know what happened, these bags were full when they arrived home from the Dallas Chocolate Festival a few weeks ago. 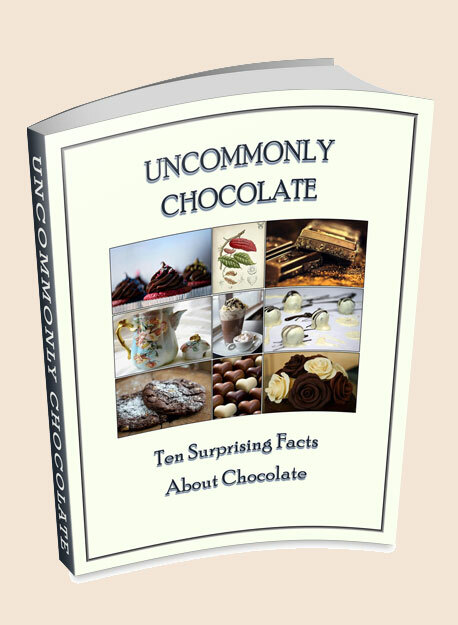 ML sources all of her ingredients locally except for the chocolate, which comes from Albert Uster, a specialty food importer. 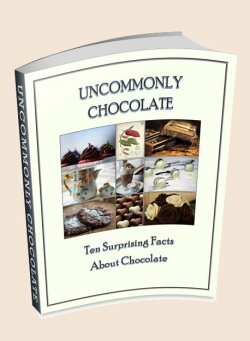 This explains why the white chocolate is not as sweet as typical white chocolates. Combined with the cranberries and pecans, the white chocolate toffee has just the right balance of sweet with tart, topped off with the slight crunch of the nuts. 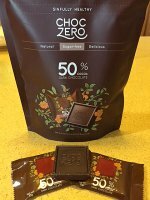 The other toffee I tried was the Hatch Chile Dark Chocolate Almond. I almost don’t know how to describe this toffee, it was that good. 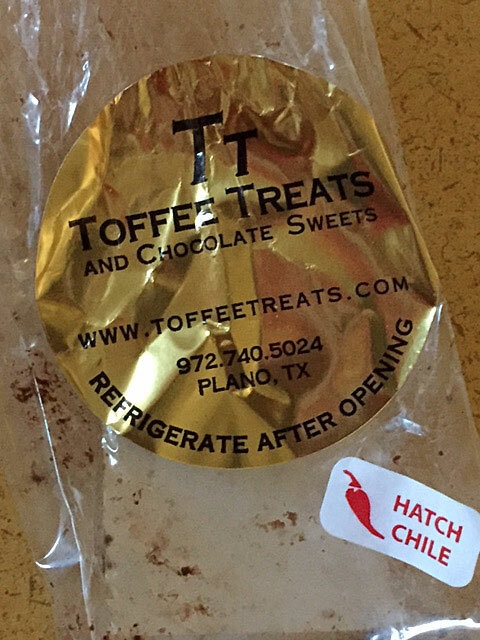 The toffee, as described above, was delicate and addictive, but the chocolate announced its presence with the addition of the hatch chile, which played perfectly with the chocolate’s smooth richness while making my taste buds sit up and take notice. This is not a shy chocolate, but it’s not a bully either. It’s assertive and friendly, and I’m craving more even as I type this. 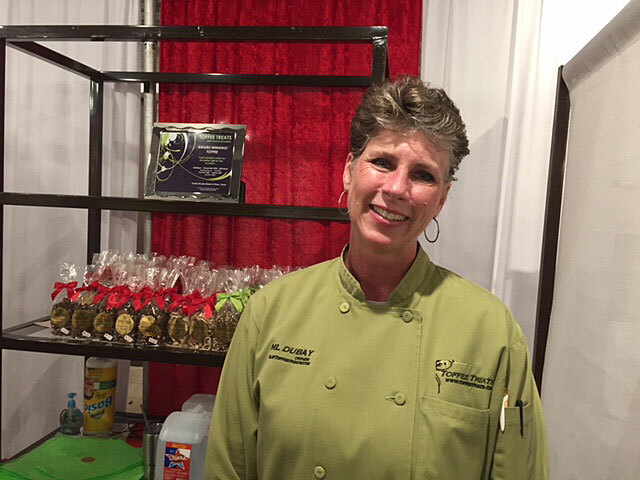 You can find ML Dubay and her Toffee Treats and Chocolate Sweets here, and you can order here. She offers more than toffee, so please go say hi and try her goodies for yourself. As for the empty bags…well, I’m taking the 5th.